me longing for a Pina Colada. doubloons. Or perhaps I have watched Pirates of the Caribbean one to many times. 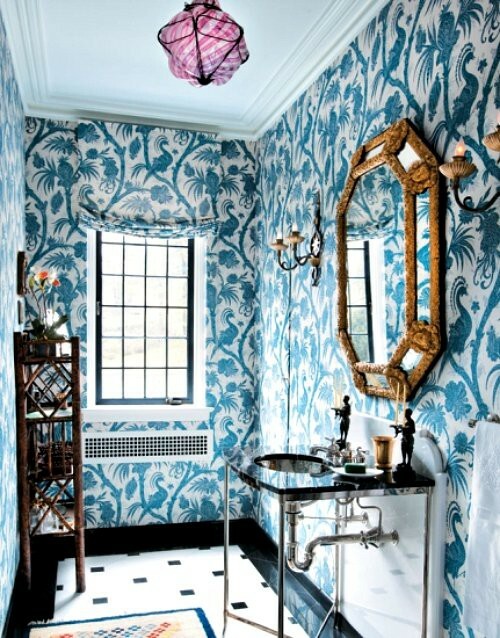 to the wallpaper helps to create the feeling of this room. tropical feel and becomes more Victorian. washstand photos to see if anyone else has done something similar. The piece de resistance has to be the pink lamp. does it remind you too of billowing sails? floor mat. I don't think it goes at all. Maybe that's the point. If you want to read the post on washstands click here.